Over the past few years, Microsoft has been raising awareness for the public to make the switch to Windows 10 from its older operating systems. Many have already made the switch and if the estimates are correct, over half of companies are now using Windows 10 on their computers. This growth has been observed despite the slump in PC sales in the last year. It is especially true among enterprise computers or the ones used by big businesses and corporations in their day-to-day operation. This speaks a lot about the trust placed by these corporations on Windows 10 because they consider it as a more secure and productive operating system compared to others. Sales of Windows 10 Pro intended for enterprise users were up 8% in the most recent quarter, a continuation of consistent growth in this segment for Microsoft over the last year, despite consumers buying fewer and fewer PCs. Now Microsoft communication chief Frank X Shaw has revealed that more than 50% of enterprise PCs have made the jump to Microsoft’s 3-year-old operating system. This is also a practical move for these companies to use an OS that is current and supported by Microsoft considering the number of online threats we all face every single day. You’ll have peace of mind knowing that counter-measures can be taken in the face of an attack or hacking because Microsoft will back you up. 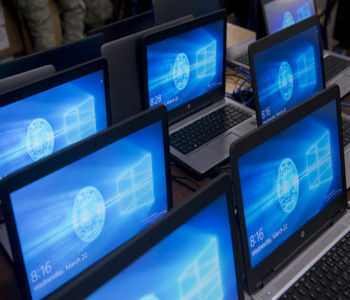 Many companies had to learn the hard way when they faced such attacks in recent years where computers were still running on Windows XP and Windows 7, so the damage hurt them a lot in terms of finances and production. There is a reason why there are many mobile apps that are now offering desktop counterparts. This is because switching between our phones and desktops can be distracting and can take away from our focus, however as much as we would like, not all mobile apps are readily available on the desktop just yet. However Microsoft is hoping to change that as the company has announced a new feature for Windows 10 called “Your Phone”. This is basically a feature that mirrors what’s on your phone onto your computer. This means that users will be able to use any app on their phone on their computer as it essentially mirrors the content, meaning that users won’t have to wait for developers to create a desktop-friendly version of the app. Since all computer users are smartphone users now and there are also older people who have no computer skills whatsoever actually have smartphones because it is not only the norm but for convenience too. There are slight variations between the smartphone and computer experience but Microsoft is aiming to make a seamless experience for the Windows 10 OS whether you use a smartphone or a computer because of its mirror effect dubbed as the “Your Phone” feature. It was already included in the October Windows 10 update and is readily available among Android smartphone users. It translates to a computing experience that is unlike any other since you are essentially able to do everything you do on your Windows 10 computer on your smartphone. Hopefully, it will be able to save you from the woes of data loss because you can now access files on both devices. But while this is still a novelty, better arm yourself with data recovery knowledge to help you better deal with data loss. Expert services like https://www.harddriverecovery.org/pricing.html and https://www.harddriverecovery.org/raid-pricing.html can save a life in the unfortunate circumstance that your device fails. ‘Data is the new oil’ was rightly stated by Clive Humbly. With the increased usage of data, we live in a world where this data is used to make important strategic decisions in an organizational structure. Big businesses find this large pool of data to be invaluable. It is important to maintain a structured way of storing and using this resource. On a personal level as well, data privacy is an important issue. Governments are looking to tighten their data leaks law to make sure that people are secure from exploitation and misuse of data. These type of cyber attacks are on the rise and data protection is an absolute must. With our increased reliance on technology, data is generated on a mass level. Data loss is a real threat as hardware and software are prone to failure and faults. We can’t ignore the power of data anymore whether big or small but along with it comes the challenges brought about by data loss. Like with any other device, they can wear out and malfunction over time. There are also instances when they fail because of other reasons outside of your control like mechanical failure or even by accident you may lose certain if not all of your stored files. We thrive today because of data and its absence can be significantly felt especially for those who failed to secure a backup. Data recovery is your last resort and your last grain of hope to get your lost data back. There is a cliché, though. It is pricey and you can’t always be sure that you’ll get it back because there are a lot of things that can go wrong no matter how careful you are. Despite these warnings, there are often ways to retrieve files from such devices without causing any harm by utilising a recovery software program. 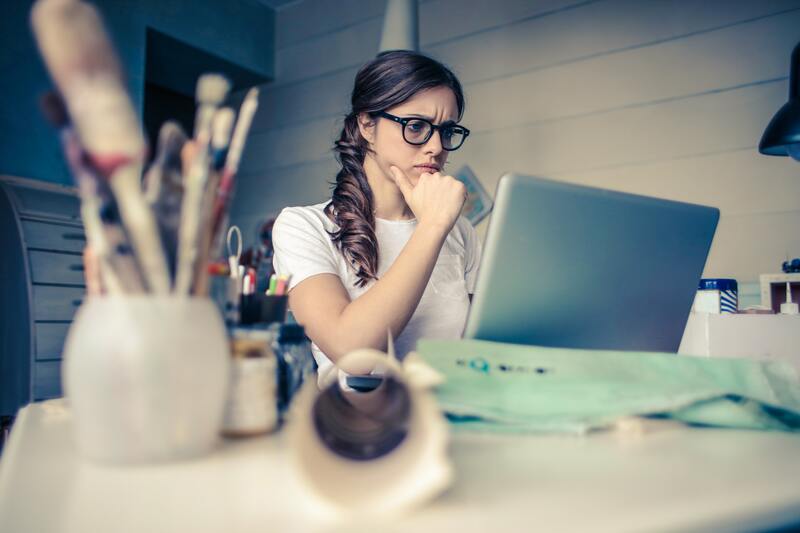 Many users conduct a quick “Googling” of “file recovery software” and then are faced with a range of choices, including many free utilities that promise fast and easy recovery. Unfortunately, these programs are more likely to infect the user’s devices with malware than they are to actually recover any content. And these programs are usually only offered in English, which leaves out billions of other potential users. It’s best to select quality software from a reliable source, one that understands there’s a need for a global presence. Some try to DIY it to save money but it is not advised since data recovery have strict requirements. For example, it should be done in a clean room environment because hard drive parts are sensitive. Only trained experts should also do it because they have an extensive technical knowledge and skills on data recovery, so you have a higher chance of recovering your lost data with their professional help. Data is so precious so one has to be extra careful with it. Not all the time you can replace it and the added pressure of time make its recovery even more stressful for you. When faced with data loss, choose a reputable firm with data recovery services that has proven results with previous clients who successfully recovered their data. Data loss is not only a problem faced by ordinary computer users. Companies and organizations using big servers are also at risk. They can better deal with it with the help of services like https://www.harddriverecovery.org/raidcenter/dell_poweredge_data_recovery.html and https://www.harddriverecovery.org/raidcenter/hp-proliant-data-recovery.html depending on the type of server involved. Get your data back and protect yourself from facing the same problems in the future by upgrading your device security and always backing up your files. As part of its core mission to educate customers on data storage technologies and tips, Hard Drive Recovery Group's latest blog post tackles RAID arrays - what they are, and how this powerful technology helps businesses across North America. "While probably near 100% of business and government employees access files from a RAID array on a server of some kind each and every day, few people understand the technology behind them," said Maureen Davies, spokesperson for Hard Drive Recovery Group. "This is a technology that is now starting to age, and yet still is one of the most powerful enterprise storage systems available today." RAID, or Redundant Array of Independent Disks, is a multiple disk array storage style that is typically classified by levels such as RAID 0 (which offers no redundancy, but added performance), RAID 1 (which offers better data security due to redundancy), and the most popular level, the RAID 5 (which offers both speed AND redundancy). These systems are made for heavy duty, long term use and typically operate smoothly for several years. They do, sadly, have their faults. "RAID 5 and 6 and 10 arrays offer a fantastic degree of redundancy as well as performance, but they are definitely not invincible," said Davies. "Most IT administrators are aware of this, but if more than a single drive fails in the array, professional data recovery is typically necessary." Another blog post, entitled MacOS Mojave for Beginners, explains the operating system update procedure, while offering important tips to Mac users that may be new to the process. "Although it mostly goes without saying, backing up your computer hard drives any time you are considering upgrading your operating system is just good business," said Davies. "Operating system upgrades are notorious for going wrong in the Windows world, and there's really no reason why MacOS upgrades are any different." The post also discusses the newer Group FaceTime feature, which allows groups to hold video calls, something that was not available before in the MacOS software. A third post, entitled, "How Identity Thieves Gain From Data Loss", discusses the dark side of the Internet, a multi-billion dollar industry known as data brokering. These companies tend to be faceless, shadowy organizations which collect consumer data and then repackage it and sell it to large corporations - often without the permission of the user. "There are certainly a lot of data brokers making a lot of money selling off data they acquire from means that are not entirely above board," said Davies. "The real trick in terms of safeguarding your data, though, are the trojan horse data breaches from companies you trust, which often use large Terms and Conditions agreements to fool the average user." The data brokering industry has upped its game over the past 10 years, with the public only recently discovering that all of their personal data, including phone call times, GPS location data and even emails are currently being mined by large companies like Facebook and Google. It's a trend that is likely to continue. "Unfortunately for the larger social media companies out there, people are beginning to catch on to the fact that everything they do is being traced and saved somewhere on a database," said Davies. "The larger tech companies have thus far avoided regulation of their use of user data, but considering many have almost 'Public Utility'-status, that may change soon." While the article does discuss how identity thieves can create real difficulties and problems for their victims, the reality is that when it comes to personal data, it is often the user's most trusted website, social network or even smart phone that may be getting away with virtually everything. "Getting users to read the Terms and Conditions is not really going to help most people, as they are typically deliberately constructed to be long, hard to read and confusing," said Davies. "The basic point every user concerned needs to understand is that if they carry a cell phone and use social media apps, they are being tracked." Hard Drive Recovery Group offers safe and fully secure data recovery for companies and users that demand a high level of privacy. Companies rely a lot on RAID systems. For starters, they're very cost effective. Secondly, they can help lessen the impact of a data loss. So, what does the acronym, RAID, stand for. Well, it stands for Redundant Array of Inexpensive Disks. Originally, it stood for Redundant Array of Inexpensive Disks. This particular data storage technology basically uses multiple disks or drives to achieve better reliability and performance. Short for redundant array of independent disks, RAID is an assortment of hard drives connected and set up in ways to help protect or speed up the performance of a computer's disk storage. RAID is commonly used on servers and high performance computers. There are various RAID levels. Each RAID level is defined by the way the disks are joined. Here are two examples of RAID levels. RAID 0 consists of two drives or more. What this level does is that it strips data across all of the drives. By doing that, you are able to maintain your capacity and at the same time, double the read and write performance. Unfortunately, you will lose some data in case one of the drives fail. RAID 0 is ideal if you back up your data regularly. RAID1 is more reliable since it can retain data in case one of the two drives fail. As you can see, the various RAID levels provide some kind of safety net in case of hardware failure. So how reliable are RAID-enabled systems? According to https://www.harddriverecovery.org/raidcenter/raid-drive-failure.html, they are very reliable. As a matter of fact, they can operate smoothly for years. However. RAID-enabled systems are not perfect. You would also have to consider the mechanical nature of their main components. They can also be prone to failure in the future. Another thing to consider is the impact of Undetected Disk Errors (UDEs) in RAID-enabled systems. Despite the reliability of modern disks, recent studies have made it clear that a new class of faults, UndetectedDisk Errors (UDEs) also known as silent data corruption events, become a real challenge as storage capacity scales. While RAID systems have proven effective in protecting data from traditional disk failures, silent data corruption events remain a significant problem unaddressed by RAID. Considering the possible failures of RAID systems, you would have to rely on experienced RAID data recovery engineers. To find them, you can check out https://www.harddriverecovery.org/raid-data-recovery.html. Apple is a tech innovator that paved the way for smart technology and gifted us with staple gadgets like the iPhone and Mac computers that have been synonymous with quality and superior technology both for its hardware and software. 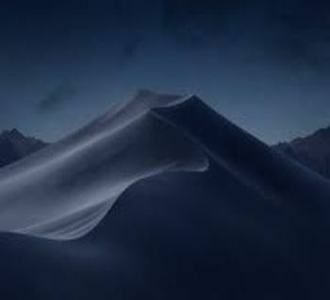 Just last September, Apple released its new MacOS Mojave and a whole lot of other exciting features that will significantly enhance your computing experience on your Apple laptops and computers, some of which are the Dark Mode, Stacks, a new screenshot tool, as well as an Improved Finder among others. MacOS Mojave is available as a free update via the Mac App Store. To get it, open the Mac App Store and click the Updates tab. MacOS Mojave should be listed at the top after it's released. Click the Update button to download the update. Alternatively, you can click the Apple icon in the top left of your display, click About This Mac, and then click the Software Update button, which will open the Mac App Store app and prompt it to check for the update. You can track the progress of your download on the Purchased tab of the Mac App Store. Don’t get too excited, though, because Apple has a disclaimer. Not all of their devices are compatible with the new operating system update, so better check out the first article to find out the corresponding devices who can make the great leap this year with the new MacOS Mojave. Like with any other update, it will require ample storage so better clear up some space to make way for the new OS on your device. Making backup files is also a practical thing to do because you don’t want to lose any important file prior to making the update. MacOS Mojave users will soon be able to join Group FaceTime chats, a feature that allows up to 32 people to simultaneously participate in a video call. Apple had tested Group FaceTime chats before through early MacOS developer betas, but it ultimately removed the feature prior to launching MacOS 10.14. Now, like with the developer and public betas for iOS 12.1, Apple is reintroducing the feature for testing in its fifth beta of MacOS Mojave 12.14.1, which was released to developers this week. If the testing is successful, Group FaceTime will likely launch to consumers as part of Apple’s MacOS Mojave 10.14.1 release. This will allow families, businesses, and organizations that have standardized on an iOS and MacOS workflow to hold group video chats over FaceTime. Previously, FaceTime was limited to a one-to-one connection. Though multiple people can be huddled around a single iPhone or Mac to hold a video call, FaceTime does not allow multiple people in separate locations to join the same call. Group FaceTime changes that, and unlike platforms like Microsoft’s Skype or Google’s Hangouts, additional software isn’t required, as FaceTime is a preinstalled experience on Apple’s phones, tablets, and computers. All changes have flaws especially that the brilliant minds from Apple are still making tweaks here and there in response to reactions from existing users when they made the switch. Some of the new upgrades include a group Facetime feature that some users are looking forward to especially the ones who often calls family and friends locally and abroad. Considering that up to 32 people can join Facetime calls as a group can really come in handy even for businesses where meetings are often conducted to update everyone of progress in certain projects and tasks. 70 new emojis will also be added to the Apple emoji line to help Apple computer users better express their feelings using these cute emoticons. All changes are exciting because we never really know what is in store for us but there are some things that actually never change. Even if you are using a more expensive and fancier Macbook Pro, for instance, it does not mean that you are totally immune to hard drive failure and data loss. 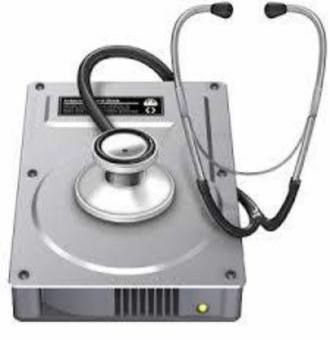 If that is the case, orient yourself to these common problems such as https://www.harddriverecovery.org/clean_room.html and https://www.harddriverecovery.org/blog/hard-drive-failure-recovery-three-major-user-mistakes/ because data recovery is a sensitive matter and require a special environment where it should be done and highly technical knowledge and expertise to actually get it done too. As part of efforts to ensure that each and every Hard Drive Recovery Group customer is an educated customer, the company's newest blog posts address common file system issues, as well as service options that many clients do not know about. "Having heard from many clients that simple information on hard drives is very difficult to find, we decided to react," said Maureen Davies of Hard Drive Recovery Group. "Rarely do we find a customer that understands all of the aspects of their own computer's storage system, so being able to point out basic concepts makes our service more educational." Addressing one of the most common data recovery requests with "Deleted Files, Where Do They Go? ", the PC's Recycle Bin is looked at in depth as really the heart of most computers' disposal system. Because many data recovery customers assume they have an emergency data loss situation simply because they have accidentally deleted a file, it is important to understand that Recycle Bin files can almost always be restored. "What is interesting about many Windows and Mac customers is that they frequently do not know that you can quickly and easily restore files that you want back to their original location," said Davies. "In fact, even in cases where the Recycle Bin has been emptied, it is usually quite possible to retrieve those files as well." The post entitled "Remote Data Recovery: Is It Right For You? ", meanwhile, documents a process that is not often considered by most consumer-level hard drive recovery customers. While certainly using data recovery software is very common knowledge to most users, Remote Data Recovery can allow the customer to avoid packing and shipping their hard drives and instead let an expert login and attempt the recovery remotely. "While remote data recovery isn't a very common service, and is typical only for those with major enterprise servers or multi drive RAID arrays, it can help the user that is pressed for time or is a great distance from the Hard Drive Recovery Group clean room," said Davies. "We have seen very high quality restoration results from most remote data recoveries, but of course the conditions must be correct for it to work." Finally, the post "Data Recovery Cost: Is It Worth It?" tackles one of the most difficult issues for North American users - is their data worth paying the cost for professional data recovery services, or is it better to simply start again. "Despite the economic projections that economists and others are making, the fact remains that less than 60% of Americans can afford a $1000 emergency, which means that a major hard drive failure that involves a lot of lab time is something they cannot afford," said Davies. "It's unfortunate, but many people these days are realizing they have to make a choice - keeping their car running, or saving a few years of family photos." While Hard Drive Recovery Group has always offered free evaluations for any hard drive crash or failure, the end decision on whether to recover or abandon the drive is always in the customers' hands. So while catastrophic data loss issues have decreased for users pretty much across the board, the economic resources for which to pay for those increasingly rare failures is often not there. "There's no doubt in anyone's mind that hard drive and solid state drive technologies are getting better and better by the year," said Davies. "But, no matter how you look at it, data storage technologies are still mechanical devices that fail after a certain amount of operation time. While you can certainly do your best to run from a catastrophic drive failure, the inevitability of them mean you cannot hide." As a result of this drive failure inevitability, Davies and Hard Drive Recovery Group continue to educate customers about hard drive maintenance and backup - the one true solution to ensure users never have to contact a professional for hard drive recovery. "When it comes to your data, being prepared is always the absolute best way," said Davies. "Backing up is easy to do, but making it part of your routine is where the difficulties arise." With data brokering becoming a multi-billion-dollar industry, you probably can’t help but wonder how much your personal information is actually worth. Well, here goes. As it turns out, consumer data is worth a lot of money. The average email address is worth $89 to a brand over time, so it makes sense that they are willing to pay for that kind of information. In 2012, the data brokering industry generated $150 billion in revenue – that’s twice the size of the entire intelligence budget of the United States government. Now, data brokering is a $200 billion industry, and it isn’t showing any signs of becoming any less profitable. It’s important to note that data brokers are able to gather pieces of information with the consent of the consumer. So, there’s no data loss since consumers share their data freely. Sure, the consumer can always refrain from sharing their personal data but that’s not usually the case. As it is, shared data is already fueling a multi-billion industry, what more lost or stolen data? There are serious repercussions of losing personal information. One of which is identity theft. If you think identity theft isn’t real, well, it is. Identity thieves actually steal personal information. They either sell it or use it to commit a crime. It’s very easy for them to get away with a crime if they’re using somebody else’s identity. The best way to take care of your personal information is to avoid data loss. Yes, you can also avoid sharing them. There’s just too much personal information that can be retrieved from lost or shared data. Identity thieves can easily make use of a piece of information to know more about you. Admit it. These days, that’s not hard to do. A thief could plug your name and address into a publicly searchable database to see what other pieces of information can be found. One website charges as little as a dollar for reports that include someone’s phone numbers, marriage and divorce records, education records, employment history, and more. These pieces of PII could potentially be used to open new financial accounts. Here’s a scary thought. Identity thieves don’t really have to rely on data loss. They’re very crafty people that they can easily steal personal information. Any kind of lost or shared data just makes it a lot easier for them. It is a fact that they gain a lot from data loss. So, what can you possibly do to protect yourself from data loss? It’s easier said than but you have to recover your data as soon as possible. For a fast and safe data recovery, you can check out https://www.harddriverecovery.org/data-recovery-services.html. If you’re able to recover your data right away, you’ll know what kind of information was lost. From there, you can take various steps to protect yourself from identity theft. While data loss affects everyone who uses a computer, it is especially problematic for those who use word processing software. Losing the important documents that you've spent so much time creating is frustrating — especially if you're like most users, who create documents directly on the computer and don't have the benefit of a handwritten copy. Questions and tales of woe about recovering lost files abound in online forums and bombard technical support departments. So, how can you actually prevent data loss from happening. The answer is, you can’t. Data loss is inevitable. That’s a fact. You’re bound to lose some data at some point. However, you could recover your lost data from your backup. The question is, do you back up your files regularly? If you don’t, well, you’re not the only one. Backing up data is such a tedious thing that most people tend to overlook it. That’s pretty much the reason why there’s a big percentage of people who fail to back up their data. Digital strategy and research consultant Ismail Jadun created World Backup Day(March 31st) to increase awareness for businesses and individuals who may not realize how important it is to regularly backup their data. According to Jadun, World Backup Day began when someone on Reddit lost their hard drive and wished someone had reminded them to back up. This individual isn’t alone: 30 percent of people have never backed up their devices once, and more than half say they know someone or have themselves lost precious files. It’s very hard to recover data if they’re not backed up. To prevent data loss, you really have to back up files. Either you spend time doing it manually or automatically, it’s really up to you. These days, there are so many ways to back up files. First and foremost, back up your data locally. Have a hard drive on your network that you regularly copy everything over to. That way if your remote backup has a problem—a server crashes, a cloud business goes bankrupt, etc.—you're still covered. Remotely. Copy all that data somewhere far away from you and do it regularly. That way if your local copy has a problem—fire, flood, drive corruption, you're still covered. Backing up data locally and remotely are the two most popular ways to do it, at least, to prevent data loss. Both can equally do the job well. Of course, backing up locally can take more time than backing up remotely. Remote backup services are usually automatic. It really depends on what suits you. But when it comes to data recovery, it may take some time to get data back from a remote backup service. When you lose data, you want to get it back right away, right? You don’t want to have to wait for hours or even days to get them back. So, what are your options? The good news is that you do have some good options when it comes to data recovery. One good option is to avail of the services of hard drive recovery service provider. Of course, you don’t just choose a service provider randomly. After all, you are trying to recover some critical data, right? Check out the experienced data recovery technicians at https://www.harddriverecovery.org/data-recovery-services.html. These guys are backed up with, at least, 20 years of hard drive recovery experience. They’re exactly what you need when you’re in a desperate position to recover some very important data. There are still ‘sharks’ who charge much more than what it costs them to recover your data, but in most cases the more damaged your hard drive and therefore the more difficult and time consuming the data recovery, the higher the cost. Good professionals have pushed most of those sharks out of the industry in recent years. The first thing a reliable hard drive recovery service provider should do is to diagnose the hard drive. Before anything else, there would have to be a proper diagnosis. A reputable business will offer to assess your drive first to determine what kind of damage it has sustained. Once they have performed an initial analysis, they can discuss with you not only the cost, but also the likelihood of success. Remember that partial recovery may be possible and worthwhile. There is a cost to data recovery. Even if it’s a DIY data recovery, there would be a time element to get it done. Time is cost. So there really is no free option to data recovery. It really costs to lose data and it costs even more to recover them. Data recovery cost is the sad repercussion of data loss. One thing is definite though, the cost of not getting back data is lot higher than the cost of data recovery. Lost data can cost a business to close down. 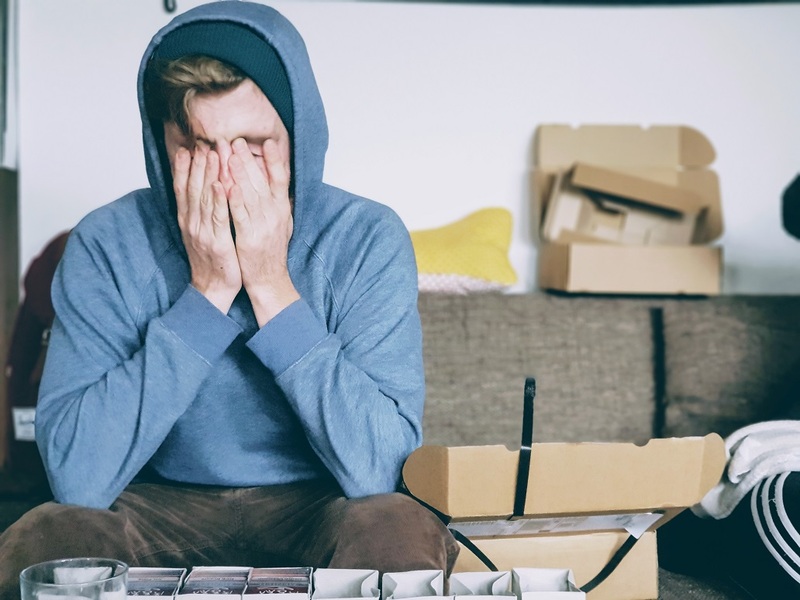 The results of a similar study carried out by the British Chambers pf Commerce found that 93 percent of businesses that suffer data loss for more than 10 days file for bankruptcy within one year, 50 percent immediately. It’s pretty obvious that the cost of losing a business is a lot higher than data recovery cost. That’s just one aspect of the high cost of not getting back lost data. An even more scary thought that comes with lost data is security. Lost data can lead to security disasters such as identity theft. The cost of identity theft is unsurmountable. Obviously, the cost of unrecovered data is a lot more. That just makes data recovery cost worth it. Choosing reliable data recovery experts to get the work done is critical. For the data recovery cost to be really worth it, only professional services, like https://www.harddriverecovery.org/data-recovery-services.html, should be considered. You can check out their recovery pricing at https://www.harddriverecovery.org/pricing.html. There are various options for data recovery. You can recover data from your backups. That is, if you have any. If you do, you better hope they're updated. If they’re not, then they’re just going to be pretty useless. Another option for data recovery is to avail of the various software programs available out in the market. There are some data recovery tools that can help get back lost or deleted files. Immediate installation of a data recovery tool gives you an edge to get back your data. However, there's still no guarantee that you can get all your data back. Just like any kind of software program, a data recovery tool will take up some space in your computer. When it does, it might overwrite some data that have already been lost or deleted. Nonetheless, it is an option to consider. The list of options doesn’t end there. There is one data recovery option that’s not as popular as the others. It’s called remote data recovery. 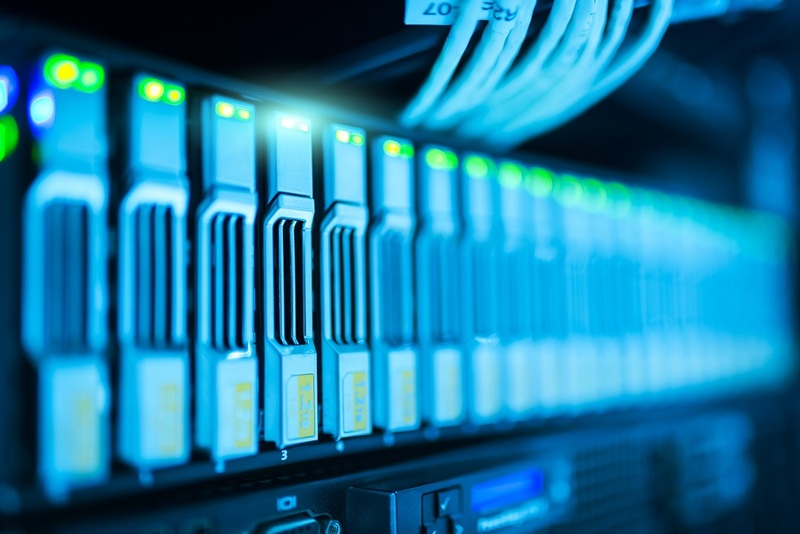 Remote data recovery is performed through a modem or Internet connection by engineers using technology to achieve the same results as if the hard drive had been sent to a lab, yet in a more convenient manner for the customer. Assuming the hard drive is still functioning, remote recovery can be achieved for a single file or for huge volumes of data. Remote data recovery seems like a very convenient way to get back your files. You don’t have to send your media/hard drive to a lab. Still, you get to experience the professional services of data recovery engineers. Depending on the scenario, remote recovery offers the same advantages as in-lab service, with the added benefit of faster recovery times -- often as short as one hour. The initial goal is to either make the original volume mountable -- meaning that the operating system can read and write data to that drive -- or restore the data to its previous location. If this isn't possible, the engineer copies the data to a different location on the customer's system. With no need to dismantle and ship the drive or hardware for service, many concerns about a traditional recovery are eliminated. 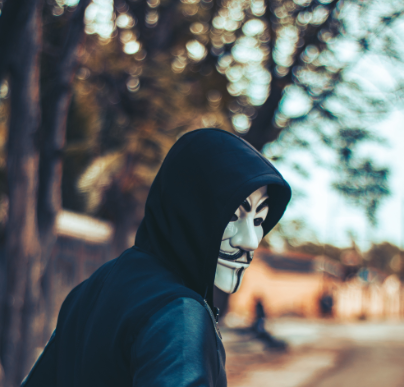 Security isn't an issue, since each recovery is performed through a connection secured with proprietary communication protocols and encrypted packets. Out of all the data recovery options. would you opt to do it remotely? That’s probably something you’d have to think about first. 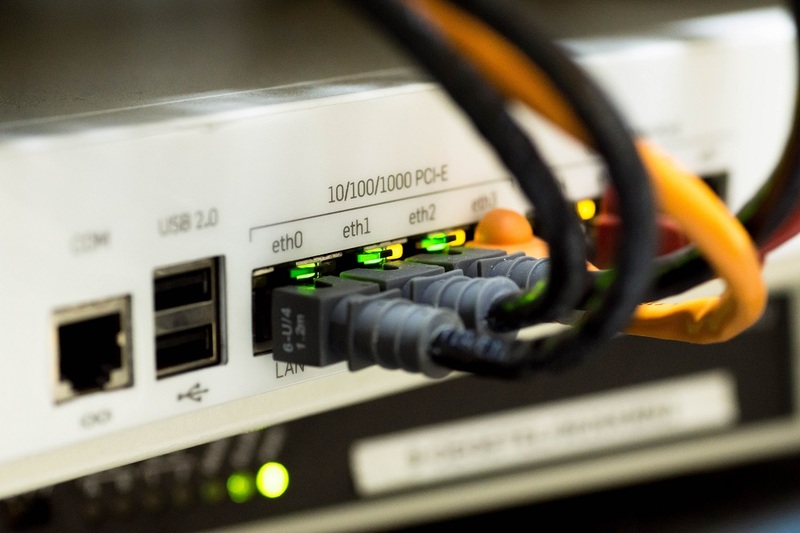 Even if a remote data recovery service offers a quick turnaround, you would have to consider the stability of your internet connection. Can the bandwidth of your internet handle the remote data recovery process? If your internet connection is slow and unreliable, then chances are, it can’t. It’s also important to note that a remote data recovery method is applicable only to certain scenarios. If you’re in a quandary as to whether you should resort to this kind of data recovery procedure, seek help from the experts at https://www.harddriverecovery.org/hard-drive-recovery.html. Their professional data recovery technicians can help you decide if a remote data recovery is right for you.